Now there are many t.v. shows out there that we just watch because they are entertaining. Maybe they are guilty pleasure reality shows, crime shows, or soap operas, but what about certain shows that can actually help us with our careers? Obviously it depends what type of industry you are in, but there is one show that I think can really help those in the business world: Shark Tank. If you have never seen the show, it helps entrepreneurs bring their ideas to fruition. 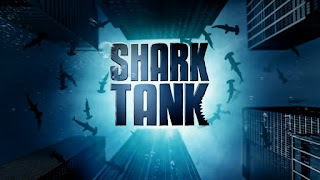 The entrepreneurs have to enter “the tank” and present their business model to five industry experts in order to convince one of the sharks to invest in their idea. Watching the show, there are many skills that these entrepreneurs must possess as well as those in the consultant role. v Entrepreneurs: When entrepreneurs enter the tank they begin by providing a sales pitch. The sales pitch typically includes a product concept story, the product concept/functionality, the amount of money they are asking from the investors, and what they are going to use the money for. Following the sales pitch, the floor is open to the investors to ask additional questions. The investors normally ask financial questions such as how much money has the company made in sales and revenue in the past year. There are also questions about the product itself, and questions about whether or not the entrepreneur has a patent. It is one thing for the entrepreneur to be passionate about their product and idea, but think about it, if the entrepreneur can’t answer a simple question about how the shark’s money is going to be used, then why would they even think about investing? One of the episodes I watched was about a product called Doc Spartan. The creators of this product boasted that they had developed an all-natural first aid ointment to help heal all cuts, scraps, rips, and much more. As the questions were thrown out, the sharks quickly became more and more wary of the product. There were no tests done on the product. The product seemed to work on a couple cuts and scrapes, but it wasn’t certified. It would be an uphill battle for a shark to invest in a product that might or might not work. As entrepreneurs enter the tank of course they are bringing an idea, but preparedness is also an important aspect. Entrepreneurs need to be prepared to answer every question about the product or have at least anticipated the question arising and be able to articulate that it is something they are working on. v Consultants: Similarly, let’s think about when a consultant begins to pitch a new account. The client is like a shark and will not invest in the consultant unless he or she is accurately able to answer tough questions. The consultant is expected to have knowledge about the client. If the client sent data to the consultant prior to the first kickoff meeting, the consultant should be able to analyze the data and know at least at a high level where the client spends the most of their money, where the business generates the most revenue, etc. The consultant is walking into a shark tank and will not be awarded the business unless they have knowledge of the facts: facts about the industry, about the client’s competitors, and most importantly facts about how they will provide value. Just like sharks aren’t going to invest unless the entrepreneur is able to explain why they need the expertise and money from the shark, a client is not going to hire the consultant unless the consultant can explain how they can assist the client in saving money and providing value. Know the facts, anticipate questions, and be prepared for all interactions with the client. 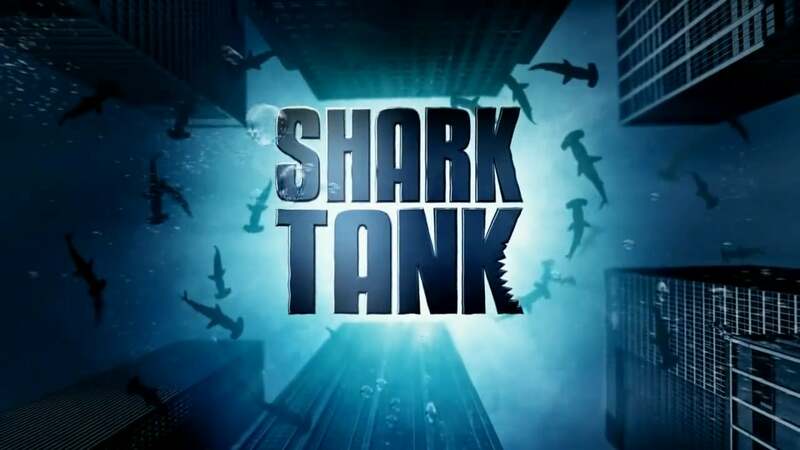 v Entrepreneurs: There are hundreds of entrepreneurs that have pitched their businesses on Shark Tank, but some of the pitches are more memorable due to the infeasibility of the products or the unpreparedness or arrogance of the entrepreneurs. One presenter that entered the tank seemed doomed to fail before the pitch even ended. The entrepreneur first of all was asking for a large investment for a product that was still in the prototype phase. Daymond John, a shark on the episode said, “I’m uncomfortable with the way you’re making this pitch,” and the normally kind shark, Barbara Corcoran said, “You’re presentation really was just terrible, I’m sorry to say. Terrible and confusing.” Not everyone is a salesperson, true, but in order to get buy-in, the entrepreneur needed to present a clear idea, an accurate representation of the worth of the company, and a business model the sharks could follow. v Consultants: Consultants have to make hundreds of pitches. Sales pitches in order to obtain business, assessment presentations to present findings, and implementation models in order to see the project to fruition. Just like how not all entrepreneurs are salesmen, not all consultants are phenomenal at presenting either. However, there are tricks these entrepreneurs need to employ in order to appropriately convey their messaging. For example when presenting an assessment there are two things that the consultant needs to articulate: What they did and the next steps/strategy in order to implement. If a consultant isn’t the best at speaking it might be helpful to utilize a powerpoint presentation. But that does not mean that one should lean on the presentation. It should be used as a guide to the conversation. If the consultant is just reading off the slides, they really aren’t conveying value and are unable to convey a message. At a high-level, if an executive asks what steps the consultant took in order to create the assessment and what the next steps are in order to implement the recommendation, hands down this should be something that the consultant has to be able to answer without flipping from one slide to the next. Just like the entrepreneur in shark tank is presenting a product that they are passionate about and should be able to speak to how the concept originated and where they see the product in the future, the consultant needs to be able to do the same. If a client says something to the effect of Barbara’s statement that the pitch was terrible and confusing, well you can be sure that you aren’t going to get the results you wanted. v Entrepreneurs: Along with what I said about making the pitch, know the business model inside and out. The best ideas that come through the tank are a result of having a fully developed business model. The entrepreneur knows where they want the company to be, they know how they are going to use the money invested, and they often also have a need for the advice and expertise of the shark investing. The best ideas that succeed and obtain investments are those that fulfill a need. The product is created to help fulfill a need or are an improvement to a product already developed. The entrepreneur though, must know the steps from concept idea to implementation and success of the business. If the product can’t get a patent or can’t get into stores or sold online then it is still just an idea. v Consultants: For consultants, it is one thing to present a strategy but another to have the strategy fully developed and know what steps are required in order to implement the strategy. Presenting a concept to a client is the easy part, obtaining buy-in from all departments and implementing the strategy is another. Clients aren’t hiring you to just show them in idea, well sometimes that is the case, but if you do such a great job at that aspect, then they might also hire you to complete the project as well. And success to a client doesn’t mean calling the project done, but it is ensuring full implementation and sometimes even working to help with compliance. Consultants have to think through all steps in the project and have means of overcoming any obstacles that come up. v Entrepreneurs: When the entrepreneur enters the tank they must first ask for a sum of money and a percentage of equity in their business. The lesson here is knowing the valuation of the company, and understanding the math behind it. For example the entrepreneur says that they would like $100,000 in exchange for 50% of the company. The entrepreneur here thinks that his/her company is work $200K because they are offering to give away half. A simple valuation, but what if the shark throws a wrench into your math as they normally do. What if they counter with increasing percentage stake in your company or throw in royalties? The host of Shark Tank Podcast, TJ Hale said that he was prepping an entrepreneur to go on the show and the entrepreneur was thinking of raising the ask from 200K for 10% to 300K for 10% for fear that they would end up doing a deal for 20+ percent equity. Hale said this would have been a mistake since you can always increase your ask, (cash), but you cannot lower it. Asking for too much will preclude the negotiation needed to make it compelling to the investors. Entrepreneurs need not only to know facts about their product but they need to know the numbers, be able to do quick math, and be confident enough to counter the shark’s offer on the fly. In all the shows that I have watched, I don’t think one entrepreneur has gotten what they were originally asking for. Sometimes two sharks go in on the deal together, sometimes the equity percentage changes, or there are contingencies and stipulations in the deal. In the tank there are high stress situations and the deals are constantly changing but that does not mean to take any deal thrown at you. Sharks are going to hope that the entrepreneur accepts whatever they are proposing, if they didn’t negotiate then they wouldn’t be a successful investor. Entrepreneurs need to operate by the same reasoning, know and be confident in the value of your idea, counter the Shark’s proposal, and know when to walk away. Not all deals are the right deal and if it means compromising more than you were originally willing to give up, then it might not be the best deal for you. v Consultants: By the same token, consultants need to be able to employ negotiation tactics. When negotiating on behalf of the client, the client is going to be less than pleased if they find out that the consultant was terrible at negotiating and as a result their business is negatively affected. When consultants conduct negotiations, just like in the tank, the deal might constantly be changing. The consultant should know where the client stands on certain terms, for example is the client willing to accept Net 30 terms instead of Net 60 if it means that they can terminate the contract without reason? Know what leverage you have in order to negotiate effectively and don’t be afraid to say no to a counter proposal. Remember, the person on the other side of the negotiation likely wants to win the business as well, that’s why they are negotiating with you, therefore be confident in your strategy. Sometimes just saying no and asking to reconvene on a topic makes the other person back down or change their approach. Time can be your ally. Don’t get flustered if the person you are negotiating with doesn’t accept your terms right away, plan for that and expect it. Think of alternate ways to achieve the same result or maybe an even better one. v Entrepreneurs: In the tank, once the negotiations start taking place the sharks want the entrepreneur to make a quick decision. As sharks have to compete with other investors, their deal reduces in value. For example if there are two deals on the table with similar valuations, the shark then needs to either somehow increase the value of their deal, maybe by offering expertise or maybe by saying that the deal will be pulled away in 20 seconds. It happens all the time on the show, sharks only like to compete to a point. They know their worth and if the entrepreneur can’t make a decision, then they begin to rethink whether or not they really want to invest in that person or that business. Occasionally when there are multiple deals on the table, the entrepreneurs ask if they can leave the tank if they can discuss. In all the shows I have watched, this has never ended in a good result. Once they leave the tank and re-enter, the sharks have either said they are out or they change the offer. It is all about decision making and taking risks. Entrepreneurs will be asked every day to make decisions, sometimes they are small decisions like what type of paper to buy for the printer, but other times it might be a decision about which market or country to expand the business in or what branding strategy to employ. Making an intelligent decision is what it is all about, but delaying might cost you the deal in the tank. v Consultants: Similarly for consultants, there are different strategy decisions that need to be made. If the consultant is going through a sourcing process, one minute there might be 4 suppliers involved and then the next there might be only 2. Two suppliers had to drop out of the process due to resource constraints, timing, what have you, but now the consultant is faced with a decision. Are you going to continue with the same strategy or are you going to alter it? Most likely you need to alter it a bit and maybe change the course of action. Just like the entrepreneur in the tank, the deal in a negotiation for a consultant might change or alter, or the supplier might not be willing to waste time and if the consultant doesn’t take a risk and make a decision, in a matter of minutes the deal might be gone. Clients are expecting the consultant to appropriately act on their behalf and make decisions. Consultants and Entrepreneurs from Shark Tank require many of the same skills in order to succeed. The Source One team is well equipped with these traits and is ready to invest in your business.